When I saw that Maya Angelou was going to be on the Nate Berkus show, I couldn't set the record button fast enough! Did any of you watch this episode? She has long been an inspiration for me, my heart could listen to her beautiful words of wisdom for hours. Nate interviewed Maya in her beautiful Harlem home and one thing in particular really spoke to me. When Nate asked her thoughts about Harlem, Maya shared her great love of historic Harlem and how happy she was to see that “the people were taking the community back”. not by the people....but by the window boxes. it means they are claiming their space”. Such simple words - such profound meaning. As sweet Spring draws near, it won't be long until all of us can dig our fingers into the dirt and do a little "claiming" of our own. I saw the show today, and I am hanging onto every word she speaks. Thank you dear one for making mention of our girl Maya Angelou!! Great post you can be proud of yourself for posting it. Oh what a lovely thought!!!! I can't wait to start planting myself!! Flower boxes are so welcoming and friendly!! Can't wait for Spring and for planting flowers! It's going to be 70 and sunny here today - just so happy! We all ( Americans) need to go about "claiming our space" and being proud again! Thanks for this inspiring piece. What lovely thoughts from a wise woman. 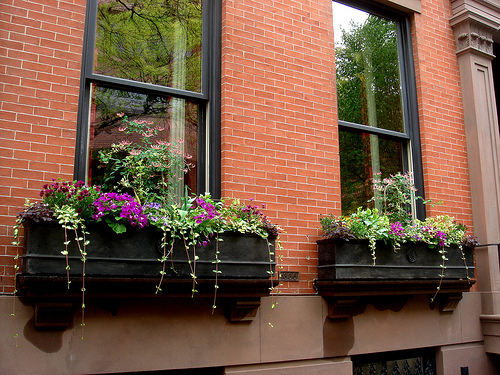 The window boxes are beautiful! I would love to have her as a dinner guest and talk away the hours. 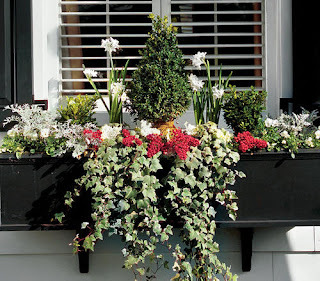 Window boxes, swept walks all show pride in who you are and where you live. Grammy always said you don't need money to keep a clean home. I absolutely agree. She's a remarkable woman. 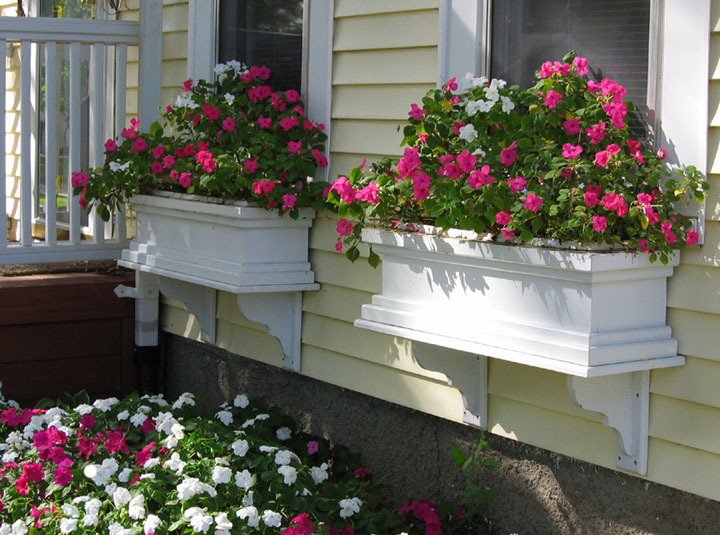 As our eyes are the windows to our souls, maybe window boxes are to the soul of a home. Gosh, I would love to be able to see and then share as she does. I saw the show and loved it, looking at the window boxes Makes me even more ready for good weather, I can't wait to plant in mine and share with everyone...Happy Weekend. I didn't see it, BUT those window container plantings are beautiful. Guess what!! We are coming to see you tomorrow!! I'll catch up with you, if you are not too busy. Dang, I'm so sorry I missed that, I just love her! Thank you for sharing such a lovely post. I'm such a crazy person! We are NOT coming tomorrow! Duh! The next Saturday...for Canton. At least I hope we can still get away. Spring is gettting so close I can taste it!! Well, not too close, but I wish it was!! Isn't she wonderful? 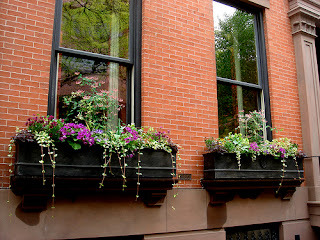 Love the window boxes! I did see the show and loved it. Maya has such a peace about her! I was lucky enough to see her speak in Portland, OR a few years back. What a treat it was! Maya is such an inspiration, I too am longing for Spring! I'm sorry I missed the show. 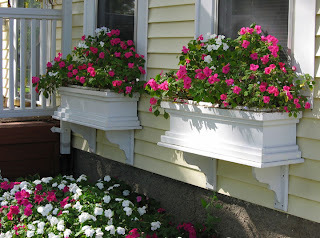 I have flower boxes on my home. I long for winter to be over. I can't wait to fill them with beautiful flowers.